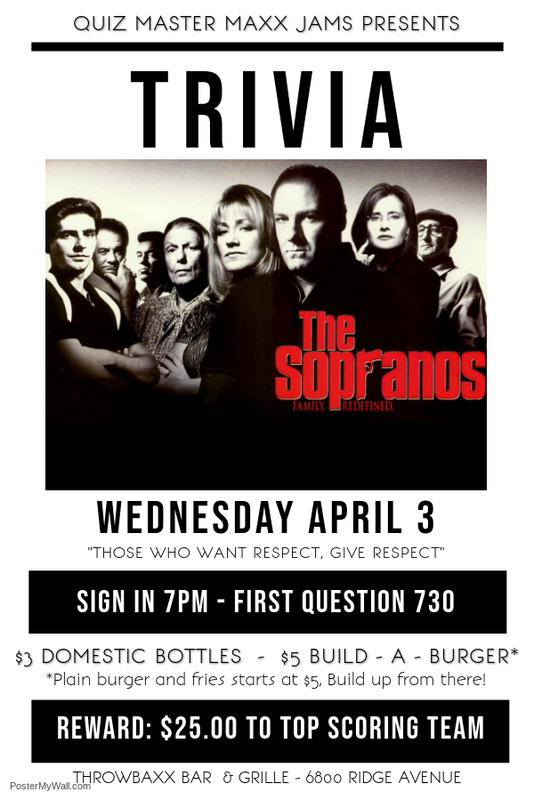 WEDNESDAYS = TRIVIA NIGHT - SOPRANOS! Details: "A wrong decision is better than indecision" If Soprano's Trivia is wrong, you don't want to be right! $25 Gift Certificate to winning team! 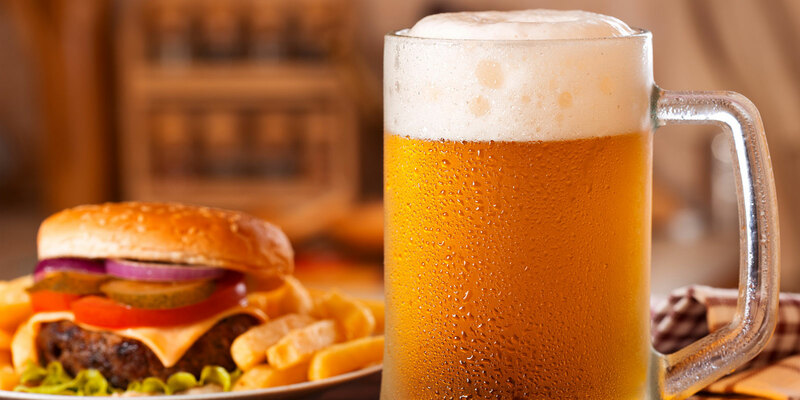 Join us for $3 Domestic Bottles and our $5 Build-A-Burgers* *Plain burger and Fries for $5, Build up from there! 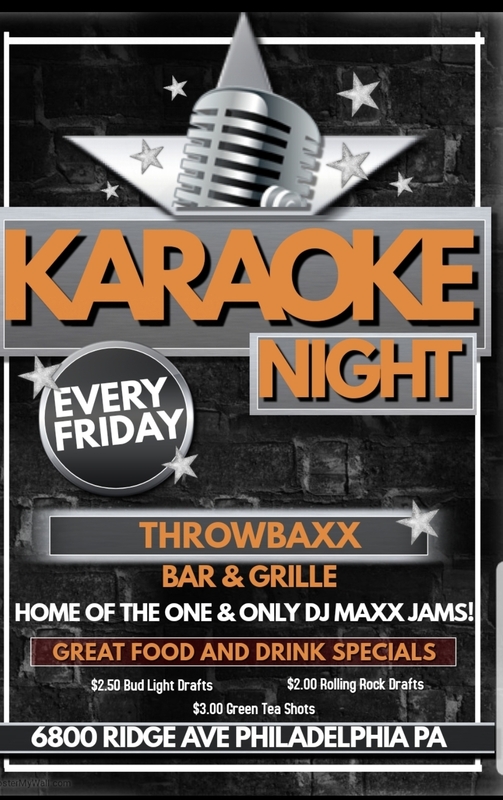 Details: Maxx Jams hosts the Best Karaoke Party in the neighborhood with us on Friday Nights! Don't be shy! Throwbaxx is a #nojudgementzone! Details: Great times with great friends start with great music! Enjoy our specials while you jam! 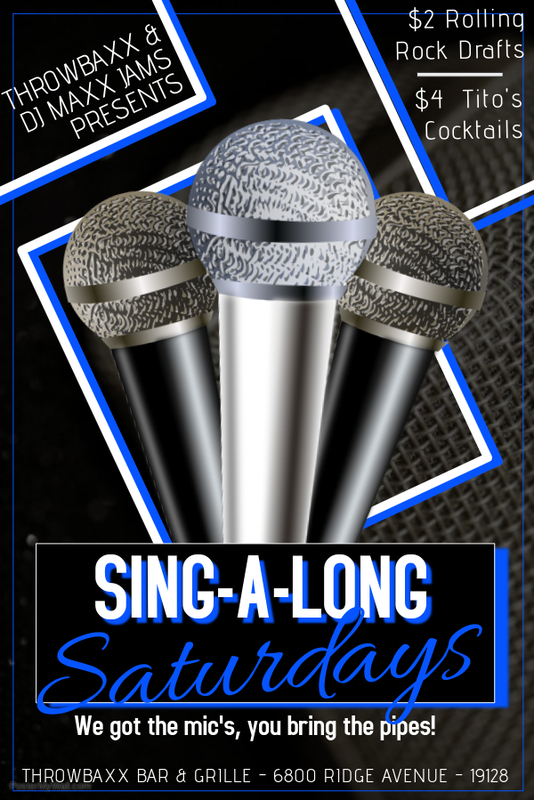 $2 Rolling Rock Drafts and $4 Tito's drinks! 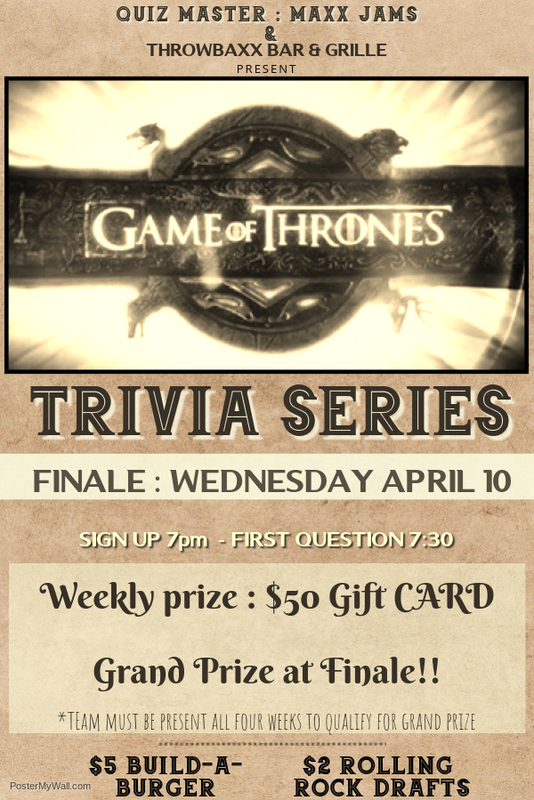 Details: THE SAGA CONTINUES... Join us for THE FINALE of GAME of Thrones Trivia. Weekly prize winner takes home $50 Gift Certificate. 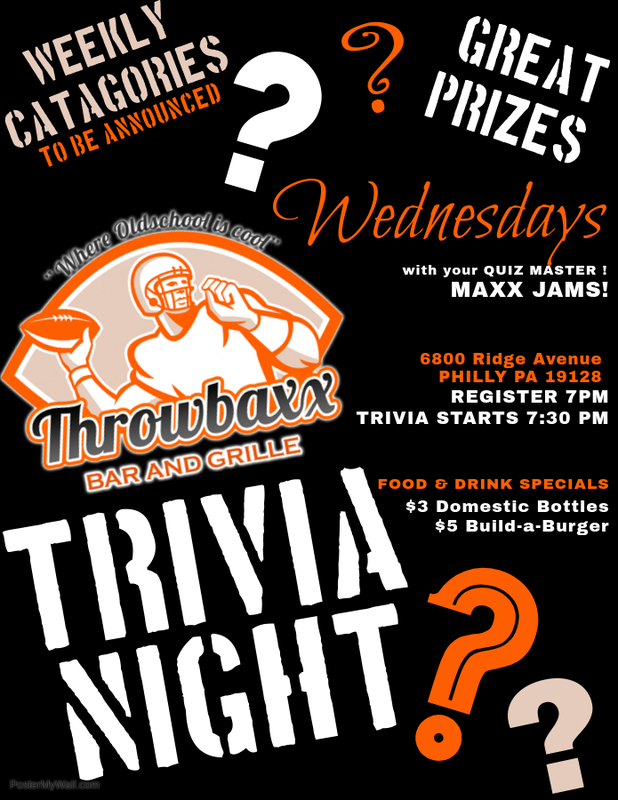 If you were here for every week so far, you are still in the running for the Grand Prize to be given out tonight! 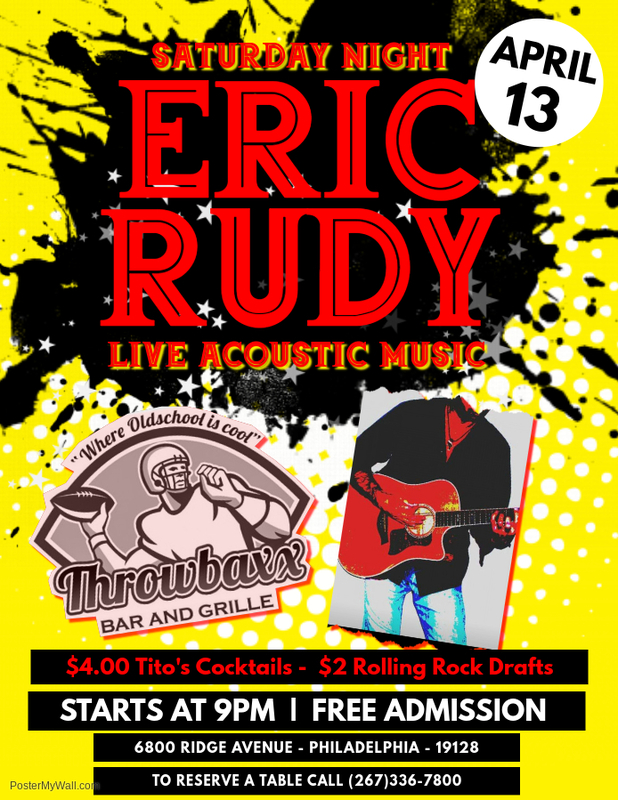 Details: Come jam with our favorite, Eric Rudy! We'll have $4 Tito's Cocktails and $2 Rolling Rock Drafts on Special! Music starts at $9! No Cover! Always a great show! Details: Topic to be Announced!